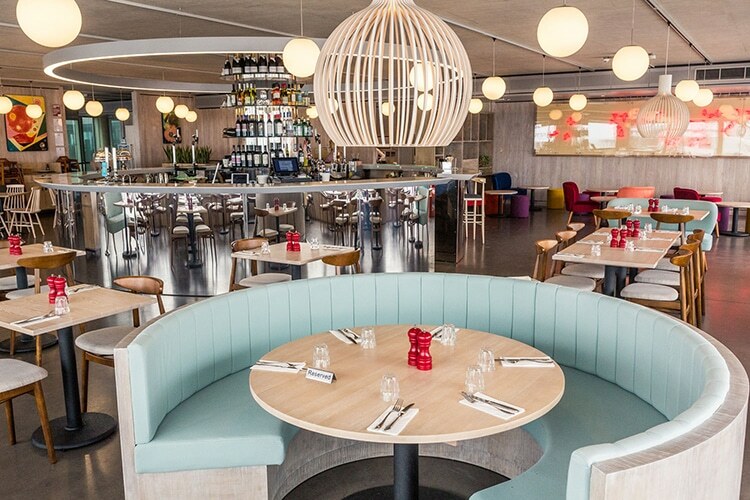 At the base of the British Airways i360 sits the West Beach Bar & Kitchen. This restaurant celebrates the incomparable character of the city with a fun dining experience. 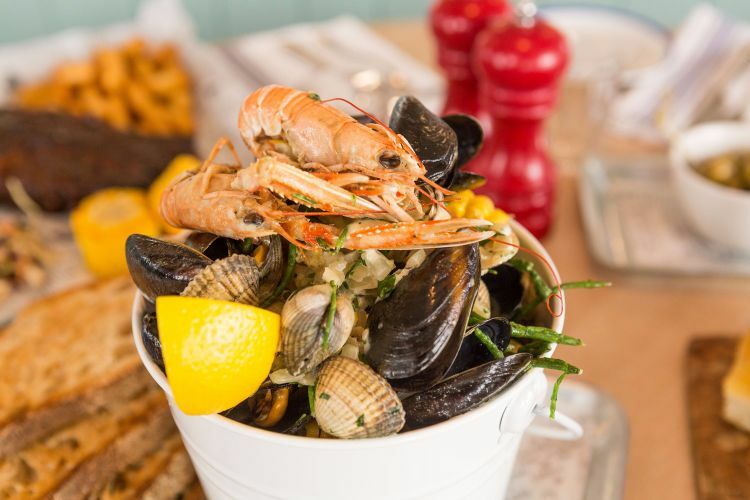 You can enjoy your food with the spectacular sea views and Brighton’s iconic West Pier. 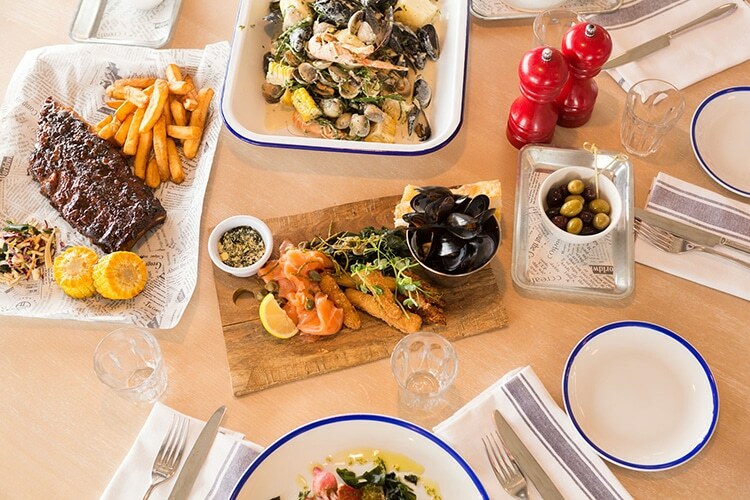 The menu at West Beach Bar & Kitchen has been created using Brighton’s vibrant spirit as inspiration. 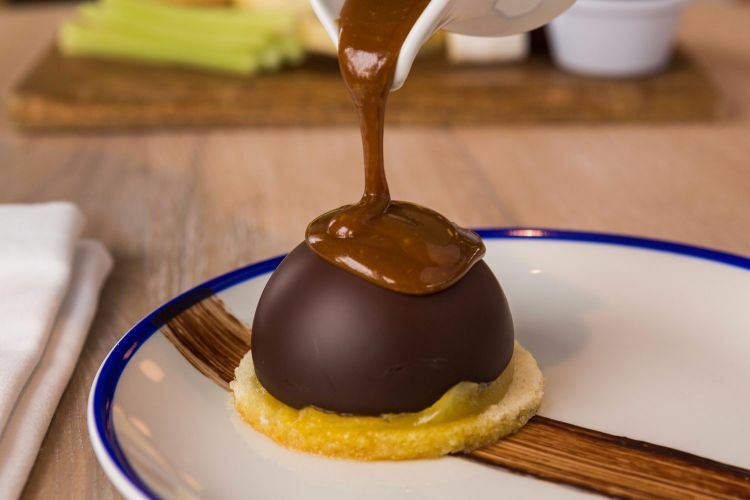 The eclectic mix of people and alternative lifestyles in Brighton have been the driving force for the food, so chefs have been playful with their ideas, not sticking to one single style of cuisine. You’ll find traditional seaside favourites such as their interpretation of fish & chips with the Crumbed Catch of the Day and Chips, alongside delicious Seafood Buckets and locally sourced drinks. The menu has something for everyone including a kids menu, brunch and set menus. Their brunch is served at weekends from 10am to 12.30pm and the main menu includes salads, sandwiches & burgers alongside platters for sharing. 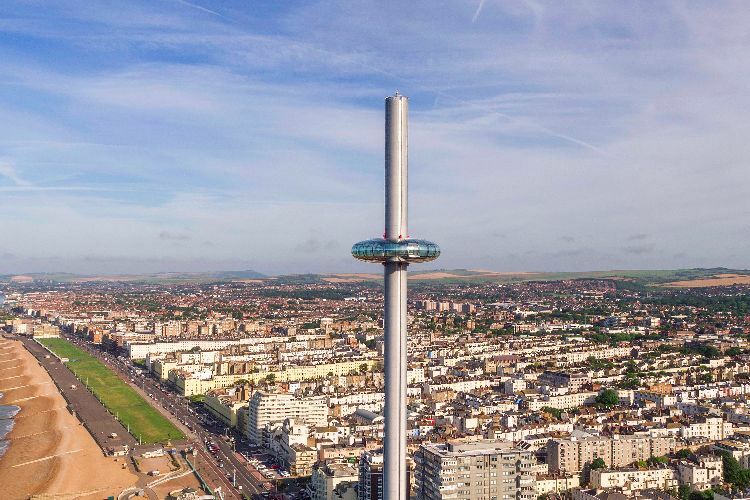 An excellent gift idea would be one of their offers such as a flight on the British Airways i360 and a two course meal. Or perhaps an afternoon tea. Children are welcomed warmly, with high chairs and changing facilities and a dedicated kids menu with a main and dessert for £7. There is easy wheelchair access and whilst dogs are not allowed inside the venue, they will provide water bowls outside for thirsty pooches. The menu offers 4-5 vegetarian and vegan options daily, with more specials available at the weekends. There are also clearly marked gluten free options, and the kitchen is flexible should you need to amend your dish in any way. 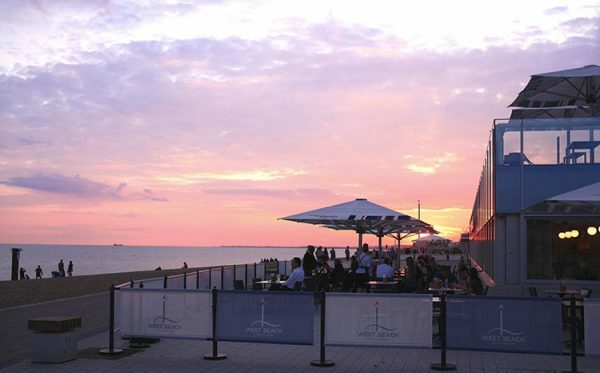 The West Bar & Kitchen boasts a large beachside terrace, making it the ideal venue in the summer. BBQ’s, summer cocktails and England’s finest sparkling wine can be enjoyed while taking in the beautiful views. The interior has been designed by award the winning, Mark Barfield Architects, and is proud to support local artists with a backdrop of art created by the residents of Brighton. Neon artist, Andy Doig, has created a spectacular large scale piece of work that’s displayed at the restaurant, leaving you with a real taste of this great city. 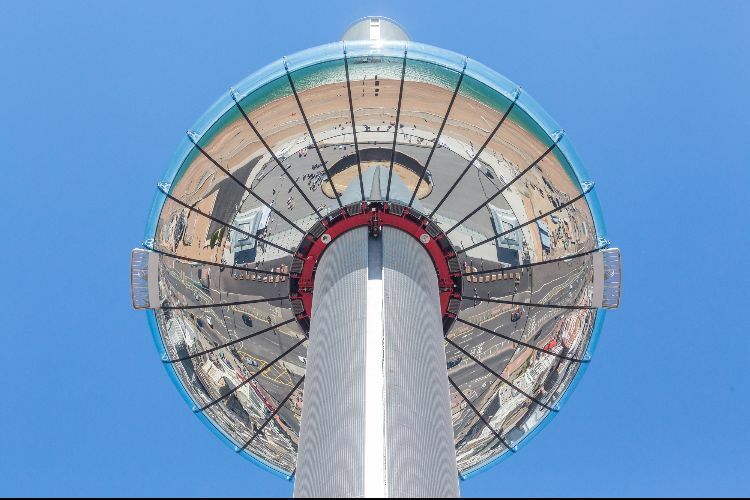 The British Airways i360 pod can be hired exclusively for receptions for up to 176 people. It has the Nyetimber Sky Bar for beverages, a state of the art sound system and video screens, which can all be tailored to events organisers’ requirements. Guests can enjoy a glass of bubbly, a canapés & drinks reception or even a full banquet. At the base of the tower there is a beach building encompassing stunning conference and events rooms, for 10 to 1,100 guests. 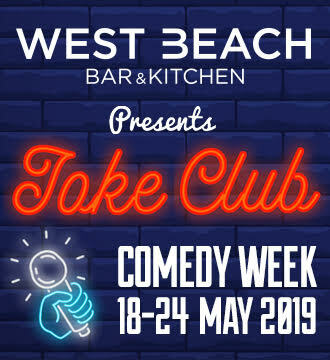 West Beach Bar & Kitchen at the BAi360 are proud to partner Joke Club Ltd to bring a week of comedy to Brighton Fringe. Kicking off on Saturday 18 May and closing on Friday 24 May, with doors opening at 7pm each evening. Our evenings will be packed full of stand-up comedy with some well-known headline acts as well as introducing some new faces to our city's incredible Fringe. Amazing experience at the i360 Nyetimber bar. Breathtaking views of course, great hospitality and good value. Good food.